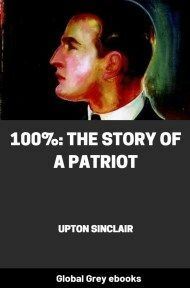 100%: The Story Of A Patriot tells the story of Peter Gudge, a poor young man who becomes embroiled in industrial spying and sabotage. Said to be based upon a real case of a bombing in San Francisco, Peter's tale is compelling reading. 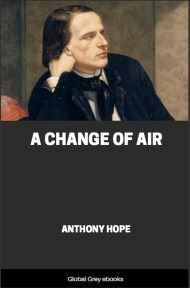 Originally published by the author himself, this is the story of a young man's descent into fear and corruption, and eventual happy redemption. 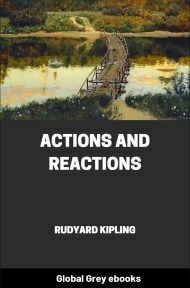 Now and then it occurs to one to reflect upon what slender threads of accident depend the most important circumstances of his life; to look back and shudder, realizing how close to the edge of nothingness his being has come. A young man is walking down the street, quite casually, with an empty mind and no set purpose; he comes to a crossing, and for no reason that he could tell he takes the right hand turn instead of the left; and so it happens that he encounters a blue-eyed girl, who sets his heart to beating. He meets the girl, marries her—and she became your mother. But now, suppose the young man had taken the left hand turn instead of the right, and had never met the blue-eyed girl; where would you be now, and what would have become of those qualities of mind which you consider of importance to the world, and those grave affairs of business to which your time is devoted? Something like that it was which befell Peter Gudge; just such an accident, changing the whole current of his life, and making the series of events with which this story deals. Peter was walking down the street one afternoon, when a woman approached and held out to him a printed leaflet. "Read this, please," she said. And Peter, who was hungry, and at odds with the world, answered gruffly: "I got no money." He thought it was an advertising dodger, and he said: "I can't buy nothin'." "It isn't anything for sale," answered the woman. "It's a message." "Religion?" said Peter. "I just got kicked out of a church." "No, not a church," said the woman. "It's something different; put it in your pocket." She was an elderly woman with gray hair, and she followed along, smiling pleasantly at this frail, poor-looking stranger, but nagging at him. "Read it some time when you've nothing else to do." And so Peter, just to get rid of her, took the leaflet and thrust it into his pocket, and went on, and in a minute or two had forgotten all about it. Peter was thinking—or rather Peter's stomach was thinking for him; for when you have had nothing to eat all day, and nothing on the day before but a cup of coffee and one sandwich, your thought-centers are transferred from the top to the middle of you. Peter was thinking that this was a hell of a life. Who could have foreseen that just because he had stolen one miserable fried doughnut, he would lose his easy job and his chance of rising in the world? Peter's whole being was concentrated on the effort to rise in the world; to get success, which means money, which means ease and pleasure—the magic names which lure all human creatures. But who could have foreseen that Mrs. Smithers would have kept count of those fried doughnuts every time anybody passed thru her pantry? And it was only that one ridiculous circumstance which had brought Peter to his present misery. But for that he might have had his lunch of bread and dried herring and weak tea in the home of the shoe-maker's wife, and might have still been busy with his job of stirring up dissension in the First Apostolic Church, otherwise known as the Holy Rollers, and of getting the Rev. Gamaliel Lunk turned out, and Shoemaker Smithers established at the job of pastor, with Peter Gudge as his right hand man. Always it had been like that, thru Peter's twenty years of life. Time after time he would get his feeble clutch fixed upon the ladder of prosperity, and then something would happen—some wretched thing like the stealing of a fried doughnut—to pry him loose and tumble him down again into the pit of misery. So Peter walked along, with his belt drawn tight, and his restless blue eyes wandering here and there, looking for a place to get a meal. There were jobs to be had, but they were hard jobs, and Peter wanted an easy one. There are people in this world who live by their muscles, and others who live by their wits; Peter belonged to the latter class; and had missed many a meal rather than descend in the social scale. Peter looked into the faces of everyone he passed, searching for a possible opening. Some returned his glance, but never for more than a second, for they saw an insignificant looking man, undersized, undernourished, and with one shoulder higher than the other, a weak chin and mouth, crooked teeth, and a brown moustache too feeble to hold itself up at the corners. Peters' straw hat had many straws missing, his second-hand brown suit was become third-hand, and his shoes were turning over at the sides. In a city where everybody was "hustling," everybody, as they phrased it, "on the make," why should anyone take a second glance at Peter Gudge? Why should anyone care about the restless soul hidden inside him, or dream that Peter was, in his own obscure way, a sort of genius? No one did care; no one did dream. 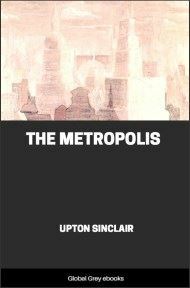 It was about two o'clock of an afternoon in July, and the sun beat down upon the streets of American City. There were crowds upon the streets, and Peter noticed that everywhere were flags and bunting. Once or twice he heard the strains of distant music, and wondered what was "up." Peter had not been reading the newspapers; all his attention had been taken up by the quarrels of the Smithers faction and the Lunk faction in the First Apostolic Church, otherwise known as the Holy Rollers, and great events that had been happening in the world outside were of no concern to him. Peter knew vaguely that on the other side of the world half a dozen mighty nations were locked together in a grip of death; the whole earth was shaken with their struggles, and Peter had felt a bit of the trembling now and then. But Peter did not know that his own country had anything to do with this European quarrel, and did not know that certain great interests thruout the country had set themselves to rouse the public to action.